The heart of the Grand Strand, Myrtle Beach, pulses with activity. Nestled in the middle of the most popular attractions, beaches, and excitement, it is the very soul of the Grand Strand. Whatever your passion is, you will feel at home here. “Shop ‘til you drop” at fantastic shopping centers like Broadway on the Beach. 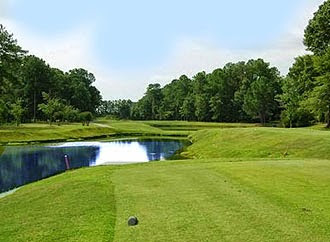 The name Myrtle Beach is synonymous with golf and you can enjoy golfing at any of the area’s 100+ championship golf courses. Worship the sun and the sand; partake in water sports of every variety during the day and relax to live entertainment at one of the many beach bars at night. Appreciate the natural world at the state parks, marshes and animal preserves. Relish fine dining, seafood, steaks or fast food at over 1500 restaurants. Family friendly fun is all around you. Just 8 miles south of Myrtle Beach lies SurfsideBeach which has seen a tremendous growth in the past decade and now features the popular Surfside Pier and nearby Inlet Square Mall, as well as grocery and drug stores, great restaurants and professionals like doctors and dentists. 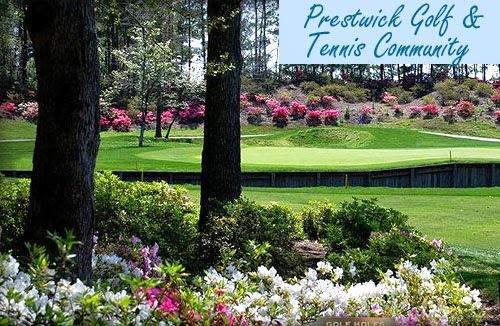 Prestwick Golf and Tennis is Surfside Beach’s premiere neighborhood of diverse recreational interests and one of the most sought after. While it borders a lush first class golf course, it is also offers the best tennis complex on the Grand Strand. It is a gated community featuring 24 hour security. Lavish homes and condos are on or close to the greens of the Prestwick Golf Course. The neighborhood’s Country Club is accessible to owners and residents with an incredible array of amenities such as the pro shop, shower/locker rooms, a enormous swimming pool and private cabanas. This is tennis heaven for those who play or enjoy watching. The tennis complex is known as the finest in the Myrtle Beach area, featuring 2 hard courts and 11 clay courts with a fantastic pro shop. The Identity Adult Tennis Tournaments held by the community annually offers league tournaments for residents and guests. 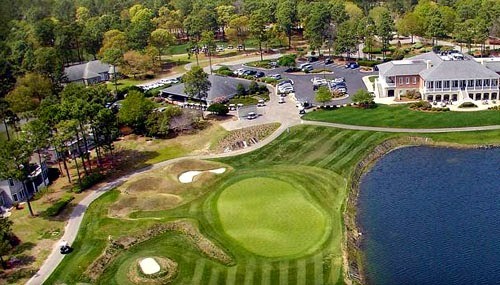 You can't think of Myrtle Beach without visions of championship golf dancing around in your head. Prestwick is one of the most picturesque golf courses in the area. The design of P. B. and Pete Dye, the 18-hole course with meticulously manicured greens, lush lakes and gardens must be seen to be appreciated and offers one of the finest pro shops anywhere. Dining at Prestwick Country Club is renowned, as is award winning Executive Chef Richard Hartnett. Chef Hartnett is trained in Italian, Mexican, French, Tai, Chinese, and Japanese cooking and the restaurant features Asian Cuisine. This Community has a lot to offer for those who are looking for a home to fit their incredibly active lifestyle. Call us today and let us show you the beautiful life waiting for you and the amazing Prestwick Country Club homes for sale.